3、Term frequency: How many times did the term honeymoon appear in the tweet field in this document? 4、Inverse document frequency: How many times did the term honeymoon appear in the tweet field of all documents in the index? 5、Field-length norm: How long is the tweet field in this document? The longer the field, the smaller this number. 1、When we refer to documents in the preceding formulae, we are actually talking about a field within a document. Each field has its own inverted index and thus, for TF/IDF purposes, the value of the field is the value of the document. 2、While TF/IDF is the default way of calculating term weights for the vector space model, it is not the only way. Other models like Okapi-BM25 exist and are available in Elasticsearch. TF/IDF is the default because it is a simple, efficient algorithm that produces high-quality search results and has stood the test of time. 3、Note that term frequency, inverse document frequency, and field-length normalization are stored for each document at index time. These are used to determine the weight of a term in a document. 4、You can read more about how to compare two vectors by using cosine similarity. Unless you need full text search or scoring, filters are preferred because frequently used filters will be cached automatically by Elasticsearch, to speed up performance. 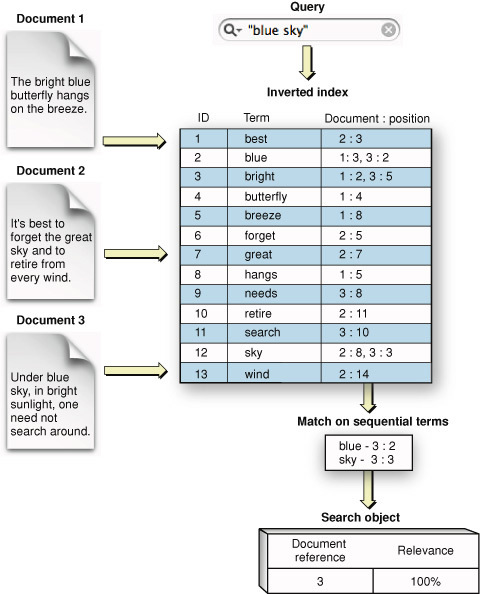 See Elasticsearch: Query and filter context. 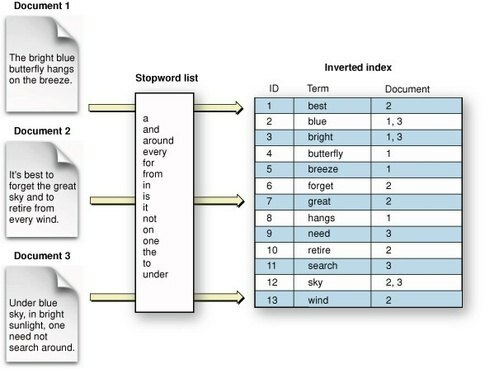 Elasticsearch: The Definitive Guide [2.x] » Getting Started » Sorting and Relevance » What Is Relevance?